With The Walking Dead, In the Flesh and The Returned on television and Warm Bodies, Juan of the Dead and Zombieland gracing the big screen in recent years, our collective love affair with the pop culture phenomenon that is the zombie shows no sign of abating any time soon. All of the various aforementioned undead themed shows and films owe a debt of gratitude, large or small, to the director and film that fully established the zombie in the public's consciousness back in 1968, George A. Romero and Night of the Living Dead. Over 45 years later, NOTLD is a recognised classic of the horror genre, its director a genial, treasured figure and the film's production history still one of independent cinema's great success stories. Though the story of NOTLD's production, and the context within it was made, will not be news to fans of Romero and his movies, Rob Kuhns' new documentary on the subject is still an engaging watch. For those who may be unaware of its impact both on the horror genre and independent filmmaking, Kuhns' documentary will prove to be an illuminating experience. Kuhn's presents a tried and tested mix of film clips, archive news footage, animated sequences and contemporary talking-head interviews. Romero himself, director Larry Fessenden, producer Gale Anne Hurd and critic Jason Zinoman, among others, speak fondly about the film, its making and the profound effect it would subsequently have on modern horror and independent film productions of all types. 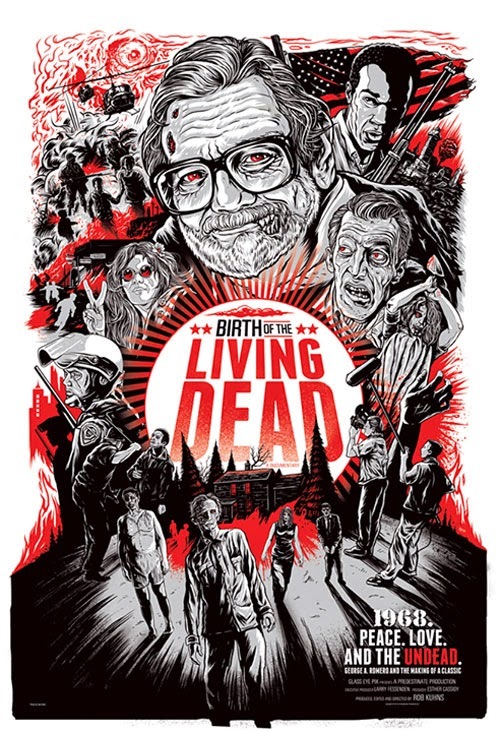 Running at a brief 76 minutes, Birth of the Living Dead does a swift, deft job of encapsulating Romero's debut movie and the social, cultural and political climate from which it emerged. Though Romero's contemporary zombie movies, Land, Diary and Survival of the Dead, unfortunately, leave a lot to be desired, NOTLD is fully deserving of its place in film history and Kuhns' film is an entertaining, celebratory reminder of that.